Alton Towers is located in Staffordshire, near the village of Alton. 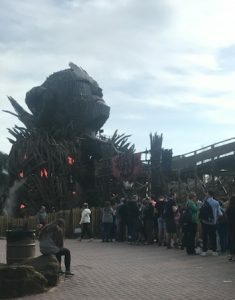 The land is 3.7 km² and the theme park attracts around 1.980 million visitors a year, with the busy season being during the school summer holidays (July – September). 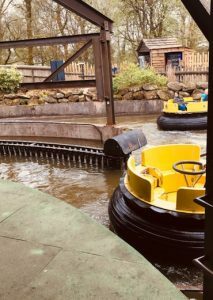 We always try to go either during the week, or on a Sunday during term time because these are the quietest times and means less queuing for rides! This time we went on a Sunday, but because we are Merlin Annual Pass holders we get to ride early. This means that we are allowed into the park half an hour before everyone else and therefore can get onto the Wicker Man and Spinball Wizzer before anyone else. This also applies if you are staying at the Alton Towers Resort. However if you have a normal ticket then you will not be allowed entry to the park before 10am. This is something we hadn’t been aware of previously, so this is our first visit using this extra time, and is one of the many perks that come with holding a Merlin Annual Pass. We started our day by arriving at 8:40 (the monorail starts at 9am), instead of waiting for the monorail we decided to walk. It not too far of a walk, but there is a reason they have the monorail! This worked in our favour because we managed to reach the park entrance just before 9am, we also later found out that the monorail was broken down the day before and didn’t start working till around 10am, and the same applied on the day we visited. You queue through a wooden queuing system, which then leads to a holding area where you watch a short clip. From here you go round to a small queue ready to get onto the ride. We ended up on the front row, which is my choice of seat! The ride itself was actually really good and rather enjoyable. 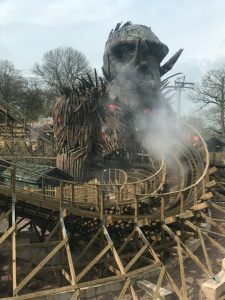 The Alton Towers websites says that it is an ‘experience that will reconnect riders with the primal essence of rollercoasters.’ which i think it does. Even if you are not a big rollercoaster fan, this is still one that can be enjoyed. Although don’t be fooled by watching it and thinking it isn’t really that fast (that’s what I thought anyway). Once on the ride it feels a lot faster than it looks! I would definitely recommend this ride to anyone who likes rides. 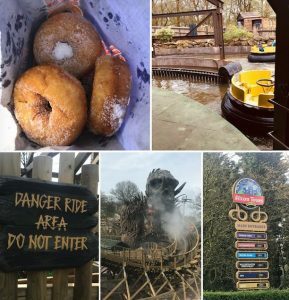 From here we went to Spinball Whizzer which is sure to make you dizzy and made me feel sick the second time around! There is a CBeebies land for small children, gardens for anyone who doesn’t actually like rides, thrill seeker rides such as Rita, Nemisis, Thirteen and the new Wicker Man and Galactica (previously known as Air, this ride allows you to feel like you are flying whilst combined with virtual reality), as well as family fun rides such as the rapids, runaway train and the pirate barrels (traditionally spinning tea cups) and many more rides!! 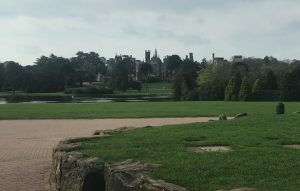 Alton Towers has a lot to offer, as well as the monorail to enter the park and the rides around the park, there is a SkyRide which gives you the opportunity to travel to the back of the park in a cable car, allowing you to see all of the Alton Towers land. Being a Merlin Annual Pass holder you not only get early entry to the park but 20% off food and drinks as well as being able to buy a drinks capsule. The drinks capsule is £1.99 to purchase and then refills are 75p (95p for full fat Coke due to the sugar tax) thereafter, the advantage to these capsules are that you can use them for the whole year at any Merlin theme park. The Merlin drinks capsules can be purchased at the box office at Alton Towers, as well as these there are normal drinks capsules that anyone can buy. The normal ones are red and are a £7 one off payment, and you can get them refilled all day, however these are a one day use and cannot be used after the day of purchase (you will be required to show your receipt when getting a refill). 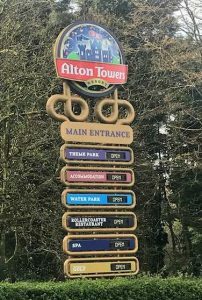 Altogether Alton Towers always makes for a great fun day out! Sun or rain we always have fun here and would recommend anyone and everyone should go at least once at some point.